Ring in the New Year in style at the luxurious Clarion Hotel & Conference Center. The Clarion is conveniently located right off I-95 just minutes from Harrah’s Casino, the Philadelphia Airport and downtown Philly where the world renowned Mummers strut down Broad Street on New Years Day every year. For best rates, make sure to book early as prices will increase and buy one of our group hotel packages so you can enjoy everything that Philly and The Clarion have to offer for your New Year’s Celebration! For general info or to purchase over the phone please contact Harley Toner 215-805-7741 or email htoner@clarionphl.com. I have purchased a hotel package online, how do I confirm all room reservation details? 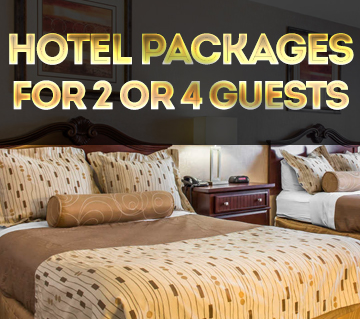 You will receive an email confirmation from a representative at the Clarion within 72 hours of booking your package. All of the rooms at the Clarion are non-smoking, will offer a 2PM late checkout, a free continental breakfast and most of them are 2 double beds which can easily sleep 2-4. If you do not hear from anyone within 72 hours, then please contact Harley Toner at htoner@clarionphl.com or 215-805-7741. A group of us want to sit together, how do we reserve our seating at an assigned table? Please email htoner@clarionphl.com your name and the names of the other party members requesting that you would like to sit together and we will accomodate for you. Please note, this is based on availability so send requests in the earlier the better. I have purchased my ticket online, do I have to printout a physical ticket? NO, you can show your ticket on your cell phone and please bring a valid photo ID just in case to verify your name at the door. We have a diverse age group attending, will the entertainment be fun for everyone? YES, absolutely, there will be guests of all ages and there will be music and fun for everyone. The top DJs and entertainers in the area will be on hand to make sure everyone gets to hear their favorite number. We even added the Old News Band this year to appeal to some of the motown & oldies lovers. I know the dinner starts at 8PM but what time can we check in? Check in starts at 730PM for Gold ticket holders but the room will not open until 8PM. The Red Fire Grill is open all day for regular business so all Gold & Silver ticket purchasers can feel free to check in early and hang out at the bar for a few drinks prior to 9PM. When is the best time to buy tickets? Don’t wait, if you snooze you lose! Early bird tickets are on sale over Thanksgiving and before Christmas. Keep in mind there are a limited number of hotel rooms at the Clarion and there are only 500 reserved seats for the dinner package in the Presidential Ballroom. You can always wait until last minute to get your Silver tickets but we can’t guarantee hotel rooms, ballroom seating, dinner stations and discounted rates. Will I have a place to sit? 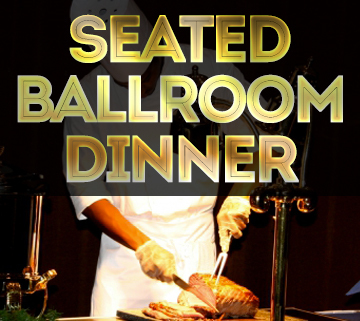 Only the Gold tickets guarantee an assigned seat with your companions or groups, however there is plenty of bar and table seating in The Crystal Ballroom and Red Fire Restaurant for people who want to take a break from all the dancing or enjoy their dinner buffet. Is there a Dress Code? It’s New Years Eve so dress to impress! Most gentlemen will be in dress shirt, tie, suit or sport coat and most women will wear a dress or gown but casual nice is fine too if that is what makes you feel comfortable. Admittance will be at management’s discretion for the severely underdressed. What is the age requirement? This is a 21+ event, no exceptions and must have valid Photo ID. What’s included in the Open Bar? 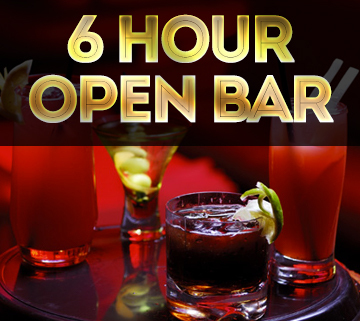 Premium Liquor: Three Olives Vodka, Kraken Rum, Jose Cuervo and other mid shelf premium brands. Beer: Miller Lite & Corona bottles. Wine: House brand red and white. Other similar selections will be offered at the Clarion’s discretion. What’s NOT included in the Open Bar? Shots, Select Craft & Imported Beers, Top Shelf Liquors and Red Bull are not included in the open bar but will be available for purchase for an additional $4.00 per drink. My husband is super picky about his beer, can he order another brand? The main ballroom will only be serving select beer, wine & liquor brands but the Red Fire Grill has a larger selection and will offer reasonable exceptions for similar brands. What time will the food stations be served? Food stations will open promptly at 8PM in the Presidential Ballroom for Gold ticket holders only and will be cleared around 10PM so come early to enjoy all of our offerings. As a Gold ticket holder, you can also enjoy our 10PM-12AM dinner buffet in the Red Fire Restaurant if you get the late night munchies! What time will the dinner buffet be served for the SILVER ticket holders? The dinner buffet will be served from 10PM-12AM in The Crystal Ballroom and it will be available for both Gold & Silver ticket holders. Where are all the party rooms located in the building? 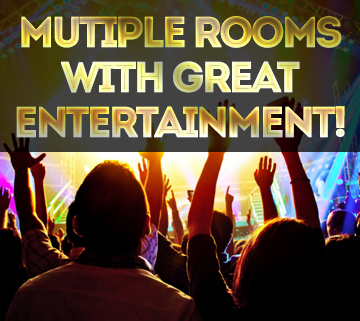 Everything is on the first floor outside the lobby and all the party rooms are connected making it an easy flow from room to room for your enjoyment and convenience. What is the transportation situation if we are not staying over night? We recommend Uber or Lyft, CLICK HERE to signup for a FREE ride from Lyft. Keep in mind New Years Eve rates may apply. Do you have a refund policy? You can receive a full refund up to 30 days prior to the event. After that there will be no refunds.